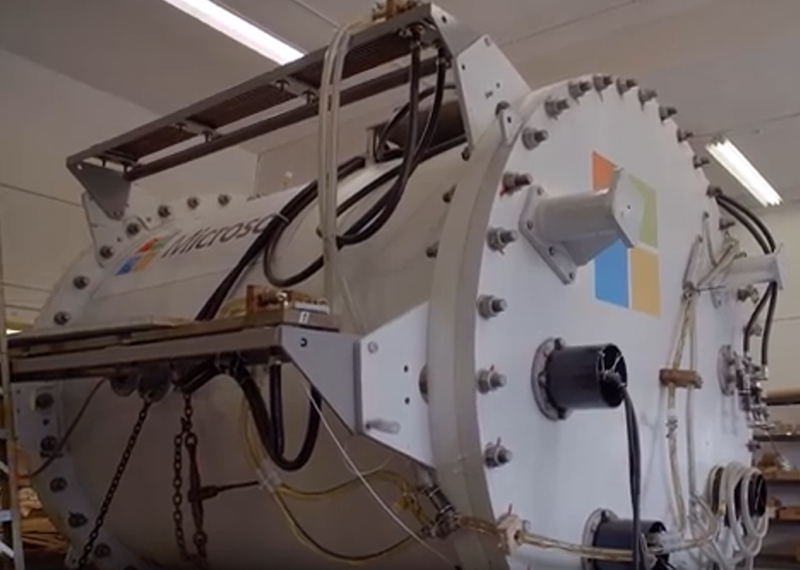 An underwater datacenter… from Microsoft. Project Natick is a Microsoft research project to manufacture and operate an underwater datacenter. The initial experimental prototype vessel, christened the Leona Philpot after a popular Xbox game character, was operated on the seafloor approximately one kilometer off the Pacific coast of the United States from August to November of 2015. Project Natick reflects Microsoft’s ongoing quest for cloud datacenter solutions that offer rapid provisioning, lower costs, high responsiveness, and are more environmentally sustainable.